The traditional Knole settee as we know it today originates from a piece of upholstered furniture in Knole House in Sevenoaks, West Kent. Knole is a grand house with six centuries of history and is filled with fine art and furniture. Knole is now a National Trust property open to the public. 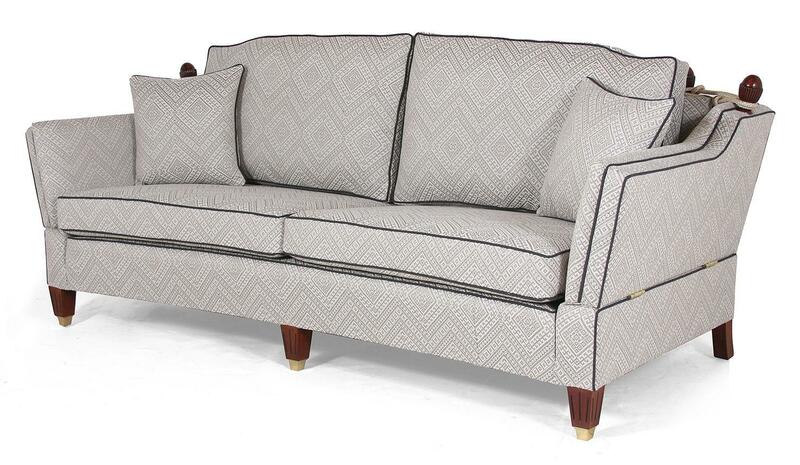 Although the essence of the drop arm with tie backs remains the same, variations to the arm shape, back height, use of buttoning and both traditional and modern fabric patterns dramatically affect how the today’s knole sofa looks. 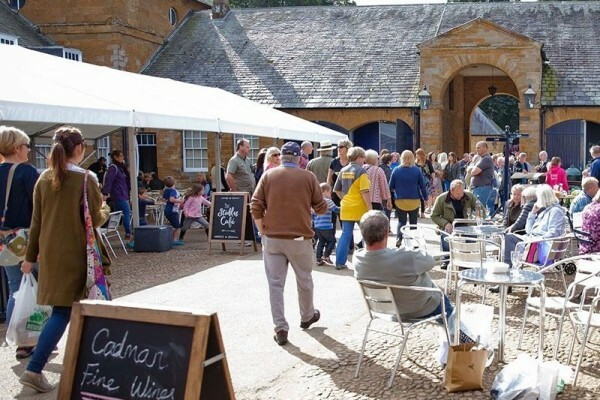 The house was originally built by Thomas Bourchier, Archbishop of Canterbury between 1456 and 1486. In the reign of Queen Elizabeth I it passed in to the Sackville family, whose descendants have lived there ever since. The writer Vita Sackville-West was a notable resident in the early part of the 20th century. Her intimate friend and lover Virginia Woolf based the novel Orlando on Vita Sackville-West, and many of the complex historical shifts and themes are based around the histories of Knole House and its furnishings ? The novel contains a series of in jokes and allusions about the house and the family intended to amuse and entertain Woolf?s lover. The house contains a precious collection of paintings and furnishings, including state beds, silver furniture, and numerous Gainsboroughs and Van Dycks. Most pertinent to this article however is the famous Knole Settee or Knole Sofa as it is sometimes known. 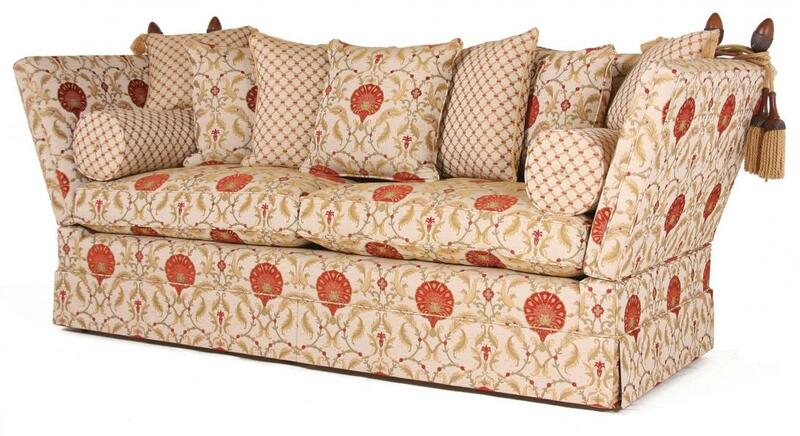 Brights of Nettlebed have many Knole sofas in stock over several model variations ? 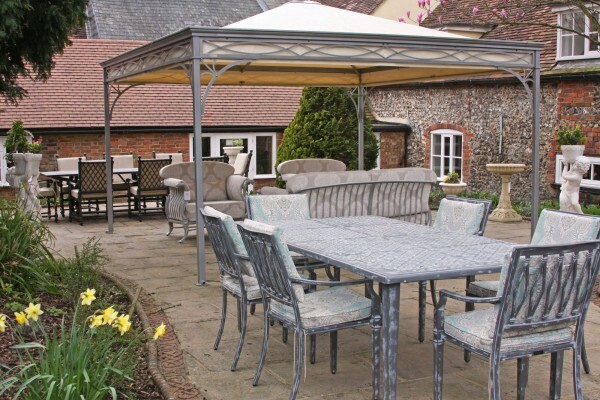 all bespoke and available to order in any size and fabric. The Knole Settee was not designed primarily as a comfortable piece of furniture ? it was designed to be impressive, and would have been for seating an important person, royalty or even monarch. The high sides were probably designed to keep out draughts as well as to be imposing. 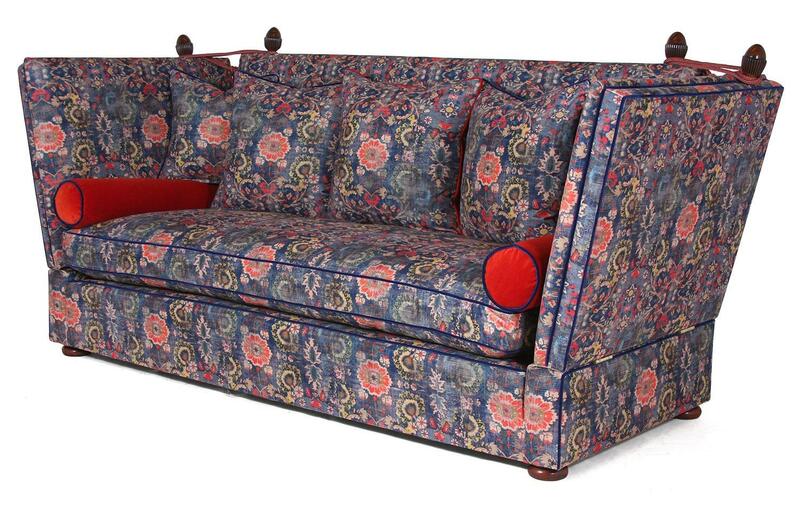 The original knole sofa is believed to have upholstered in red velvet with red fringing, although has probably been re-upholstered or indeed even replaced. 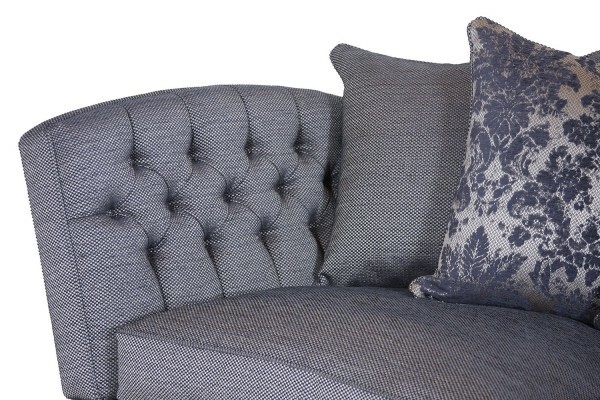 The most notable feature of the Knole sofa is the high sides which are most often on hinges, or completely detachable and held together with cords tied on carved pegs on the back and sides. It is not entirely clear where this design feature originated, but it has been suggested that this may have been pure practicality ? 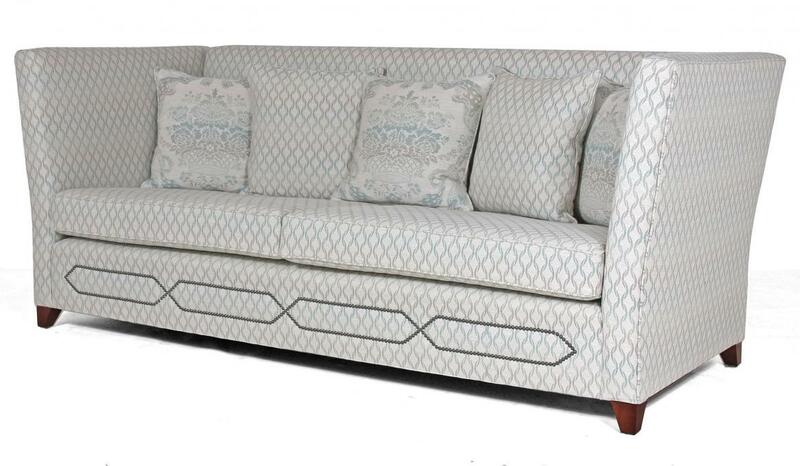 to allow the knole sofa to be dismantled and taken to other rooms or houses easily. Certainly there is evidence of this in other large important pieces of furniture such as royal beds, which were able to be dismantled to be taken ?on tour?. Today, the feature is still very useful in that the sofas can easily be built in different parts to allow ease of delivery is smaller modern houses, or up difficult stairs or lifts in apartment buildings.